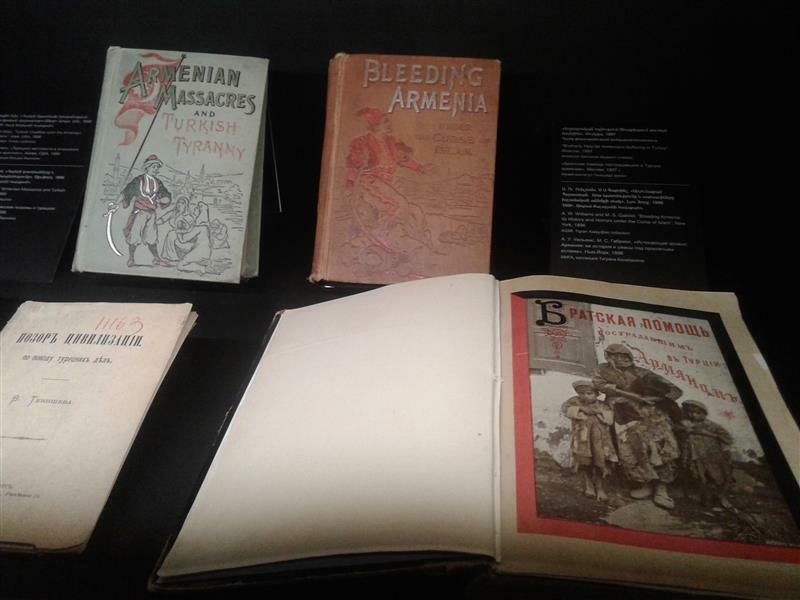 Warning signs: One of the exhibits at Yerevan's Genocide Museum at the Tsitsernakaberd complex is a collection of books in Russian and English published in the late 19th century when attacks against Armenian communities in the Ottoman Empire were just beginning. 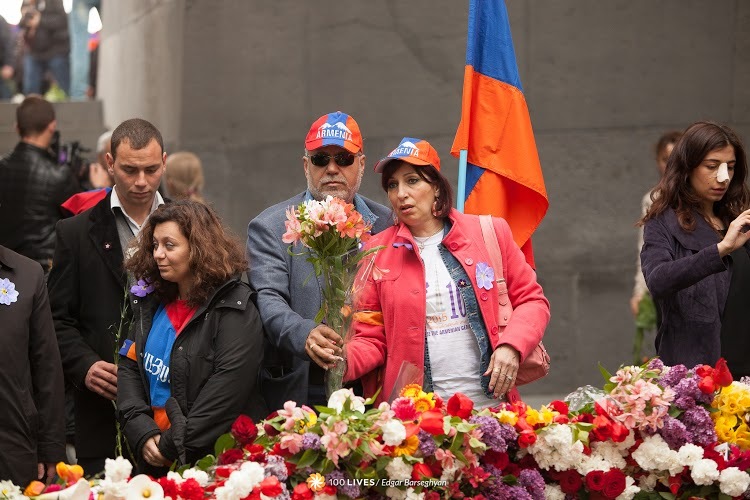 Adelina Avakyan has lived in Moscow for 25 years and came to stay with her family in Yerevan for the commemoration events. 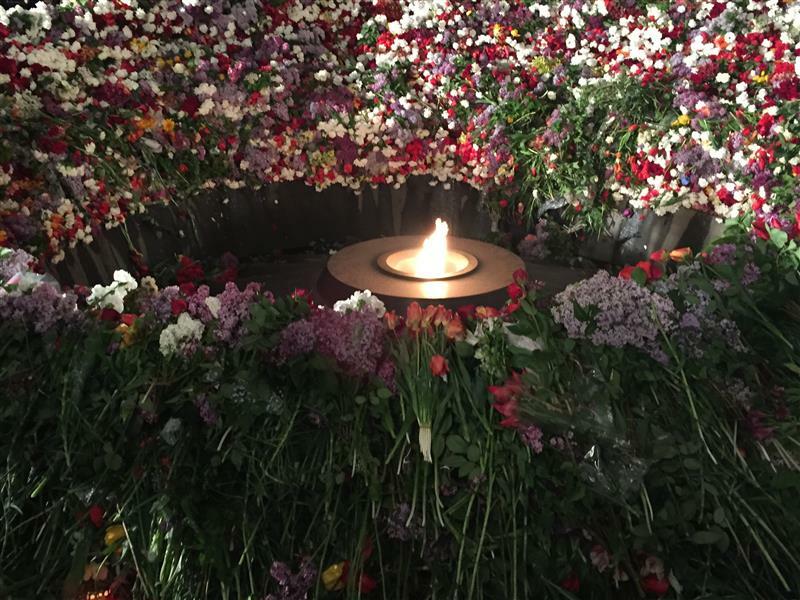 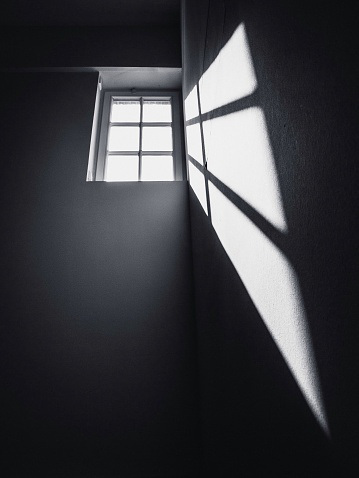 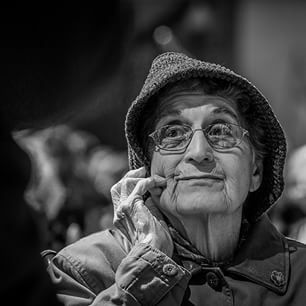 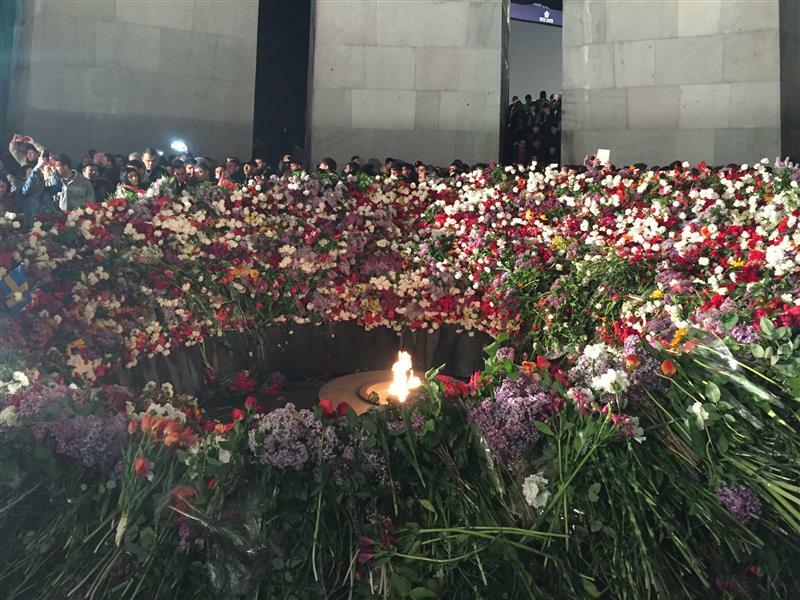 For her, visiting the Genocide Museum was painful but necessary. 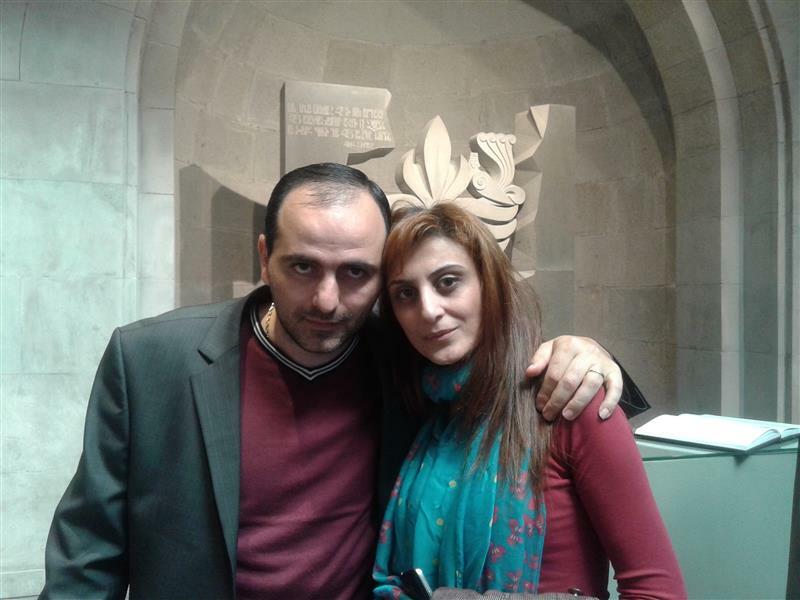 Karen Gazaryan, standing with his wife, was one of thousands who visited the Genocide Museum today. 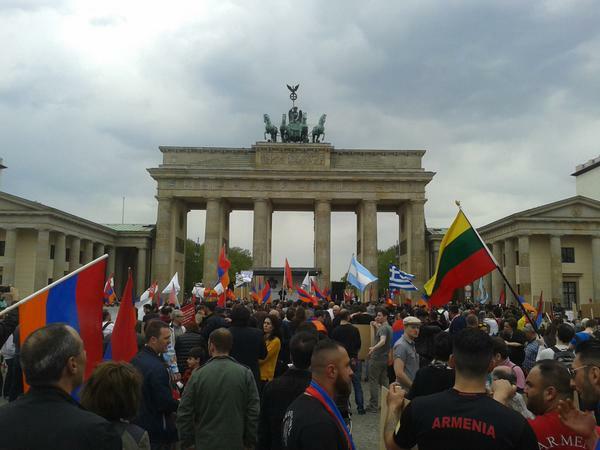 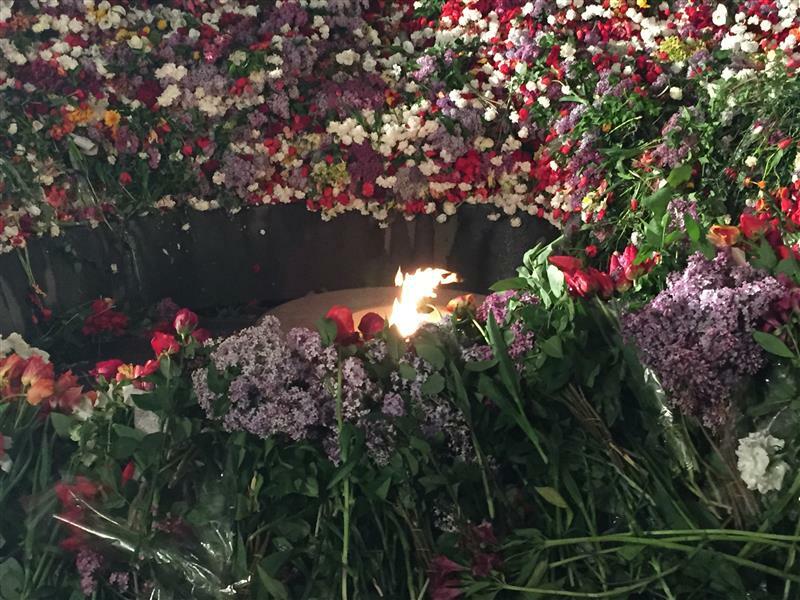 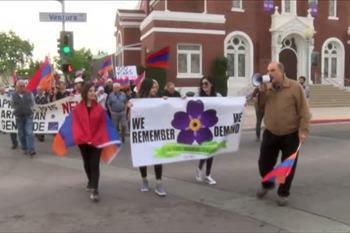 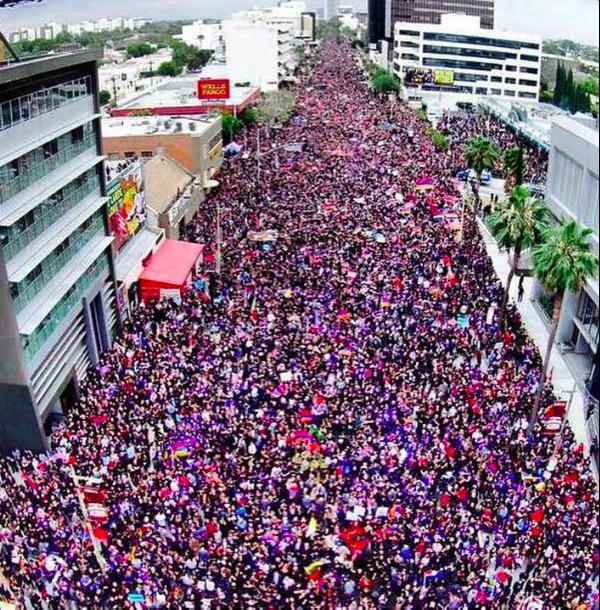 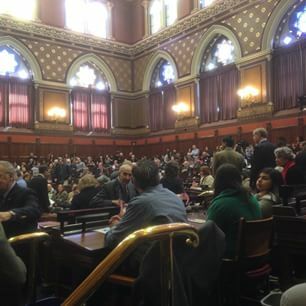 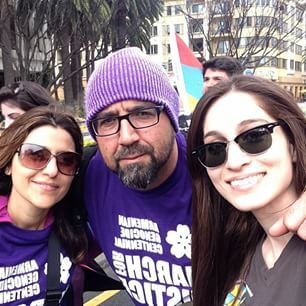 The Huffington PostTens of thousands of Armenians living around the world flocked to solemn memorials and defiant protests on Friday to mark the 100th anniversary of the Armenian genocide. 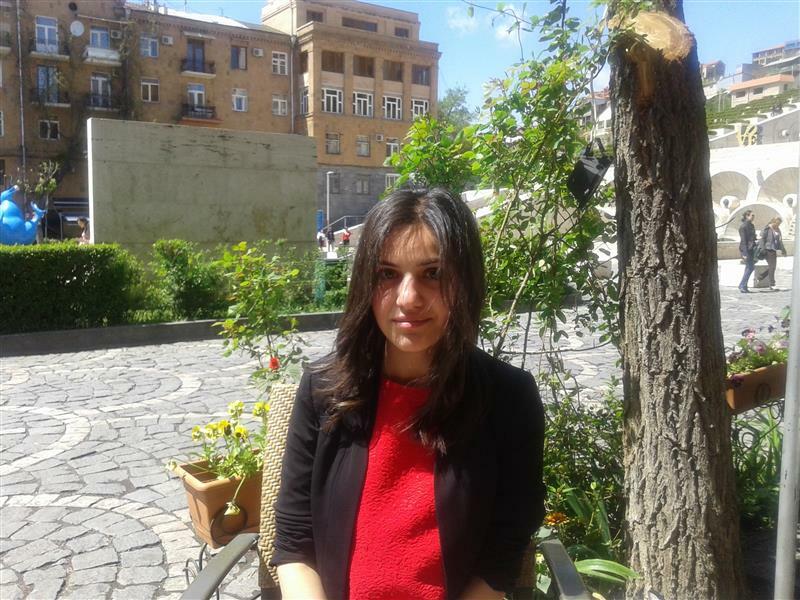 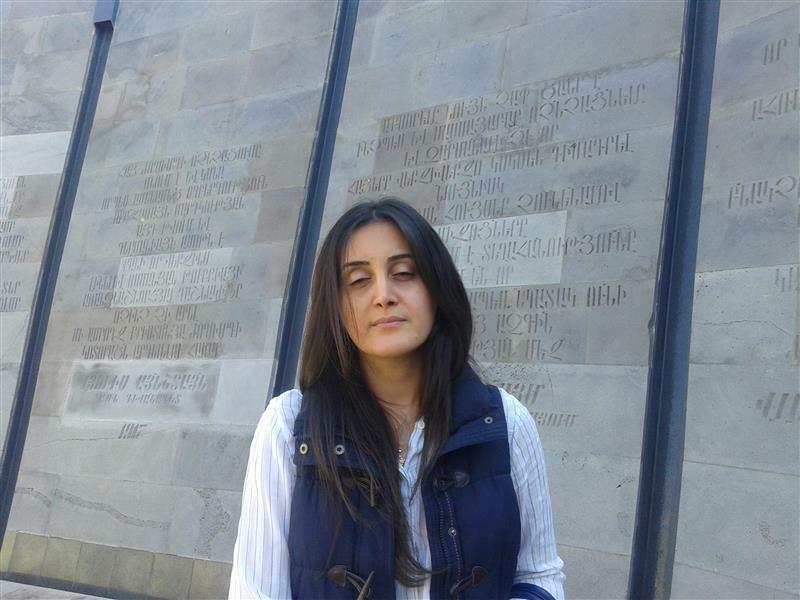 was one of the volunteers helping visitors in Yerevan during the Centennial events. 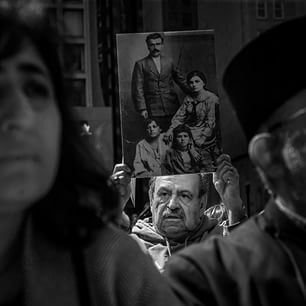 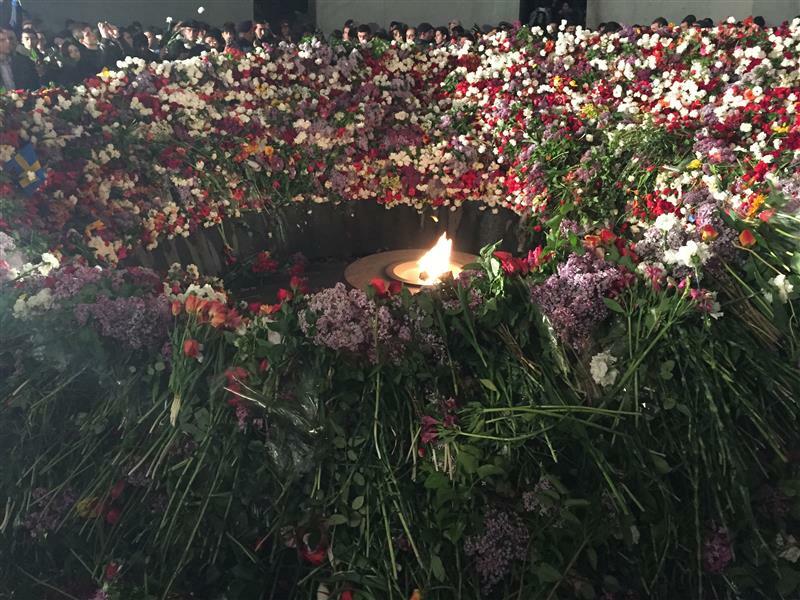 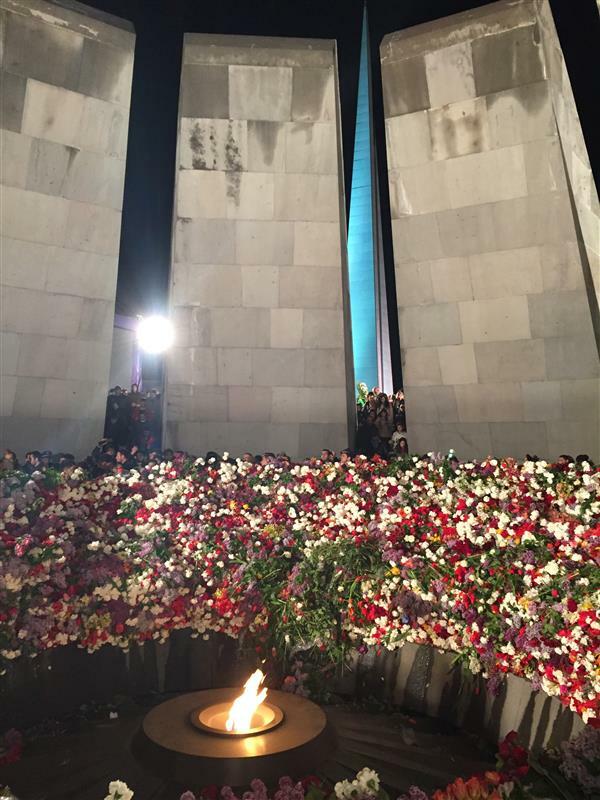 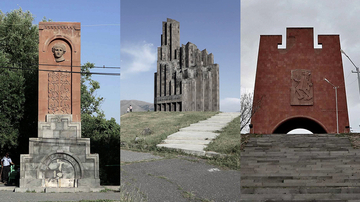 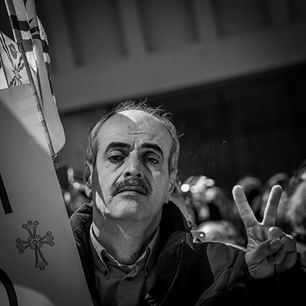 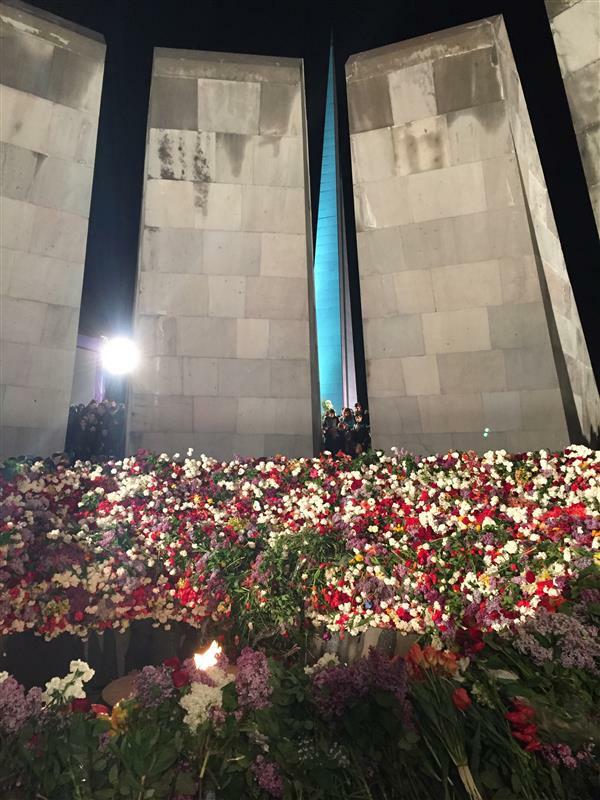 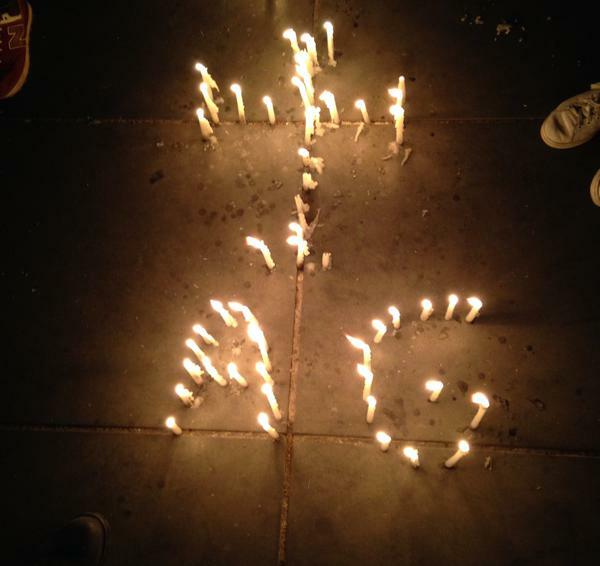 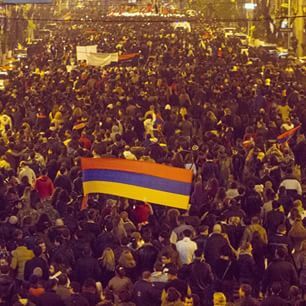 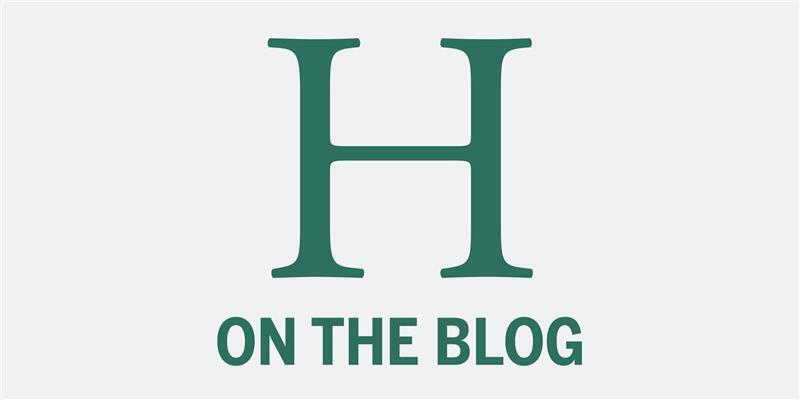 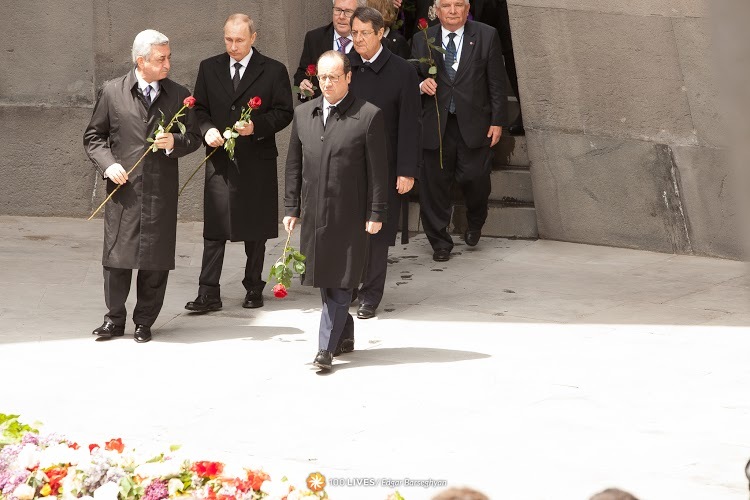 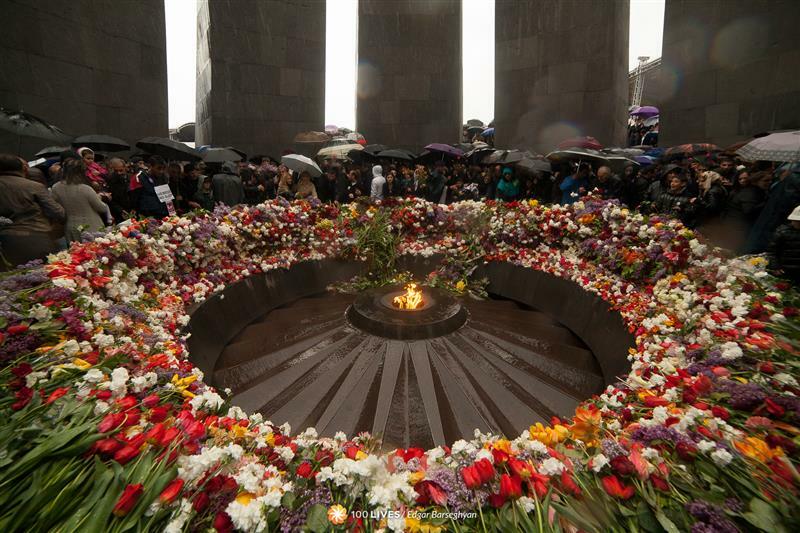 100 years after their ancestors were massacred, Armenians want both growth and atonement. 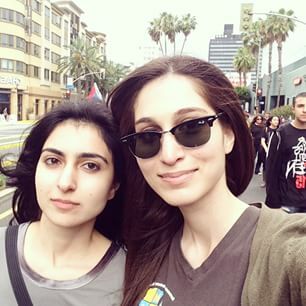 Right now, it’s hard for them to have both. 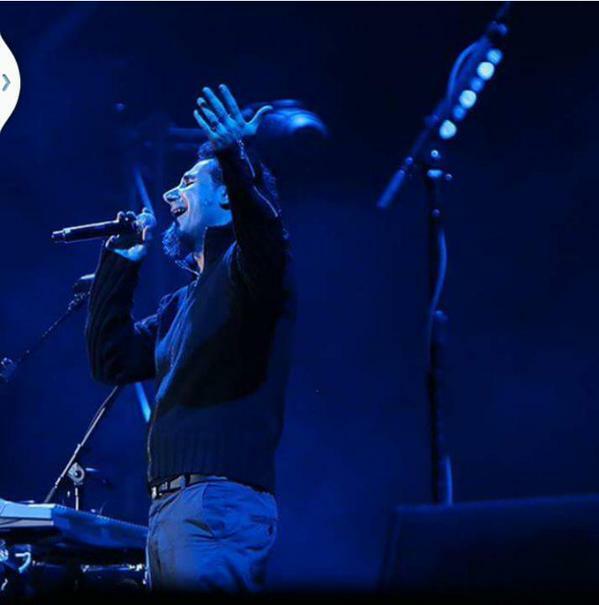 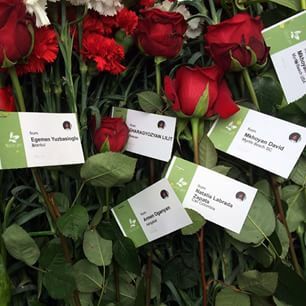 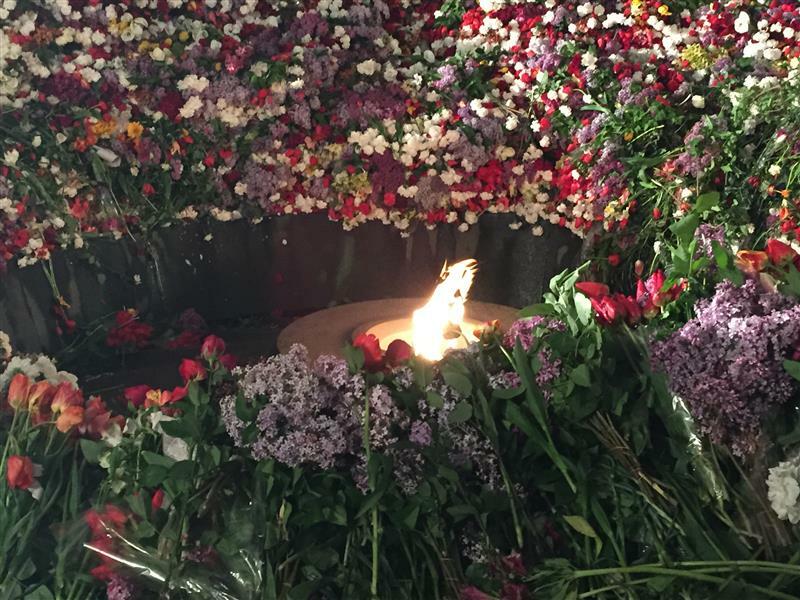 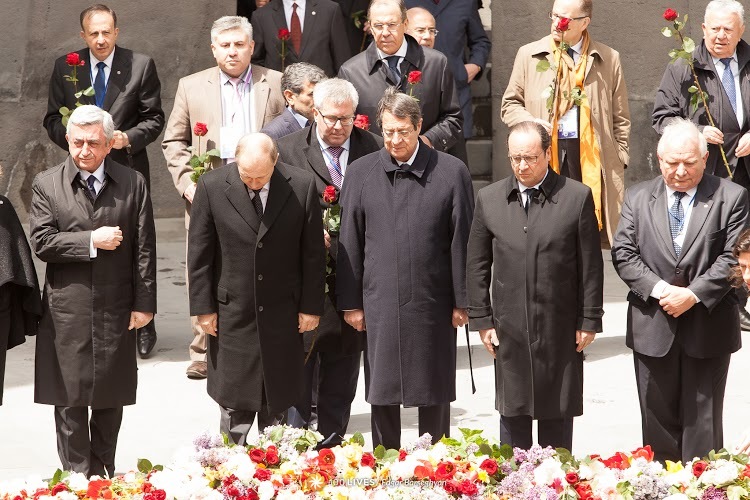 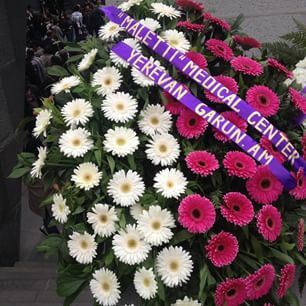 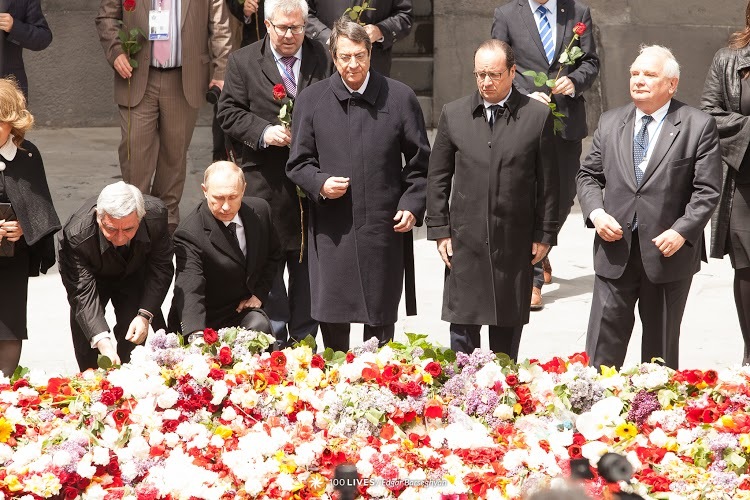 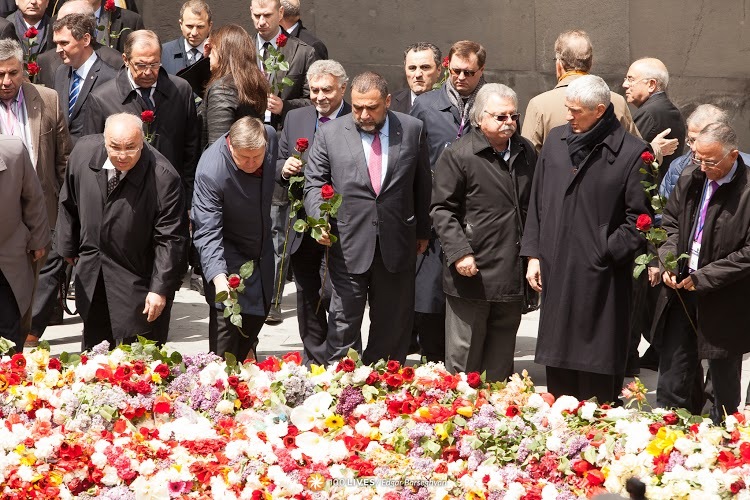 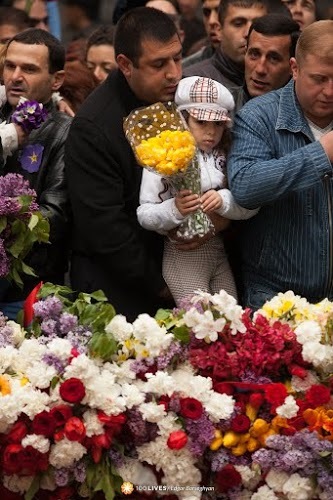 On April 26 activists from the Foundation for the Preservation of Wilidlife and Cultural Assets (FPWC) will gather the flowers laid by the mourners at the Tsitsernakaberd Memorial Complex. 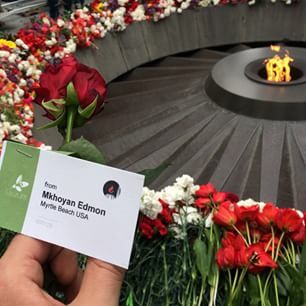 The stems will then be turned into fertilizers, whereas the recycled paper made from the petals will be used for letters of gratitude and invitations to the Armenian Genocide Museum-Institute. 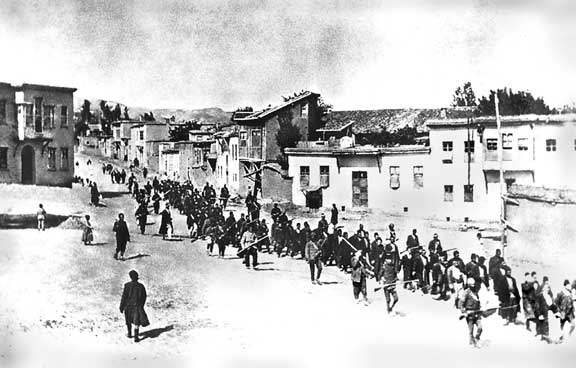 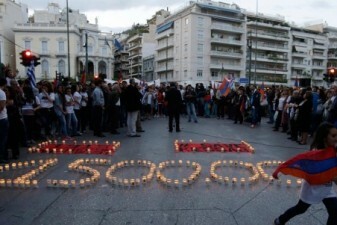 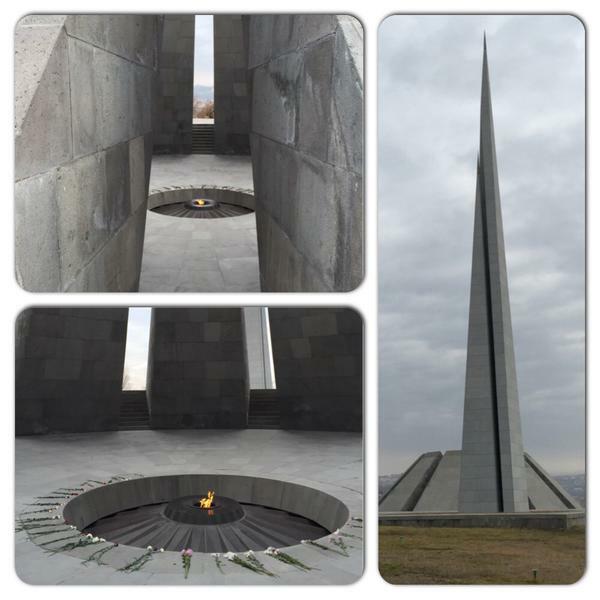 Today marks the 100 year anniversary of Armenian Genocide! 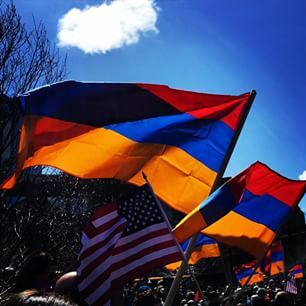 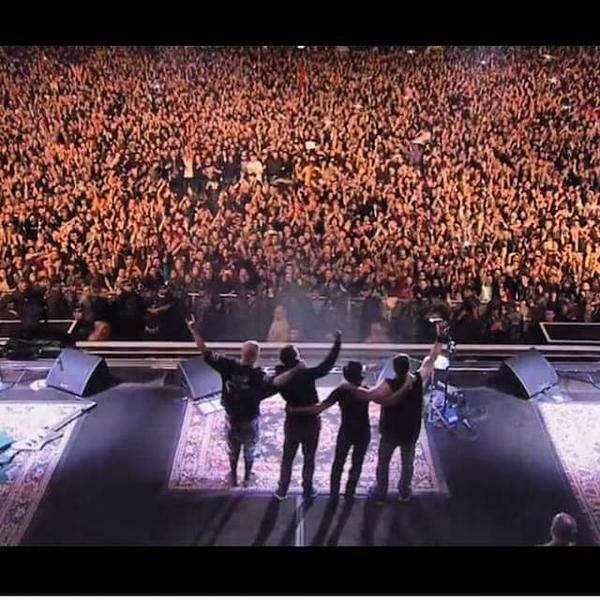 I am proud to now say I have been to Armenia. 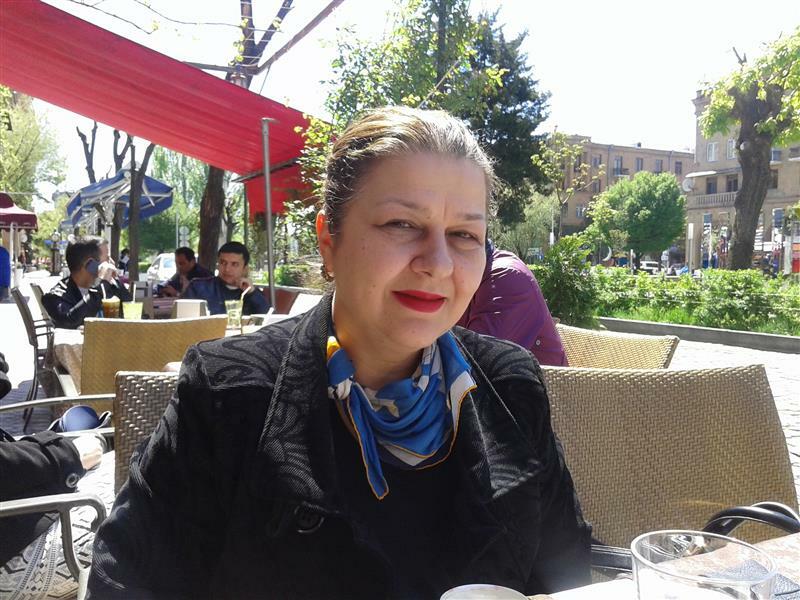 Irina Pogosian teaches Russian literature at Brusov University and spoke to us from downtown Yerevan of reliving the pain during the commemoration events. 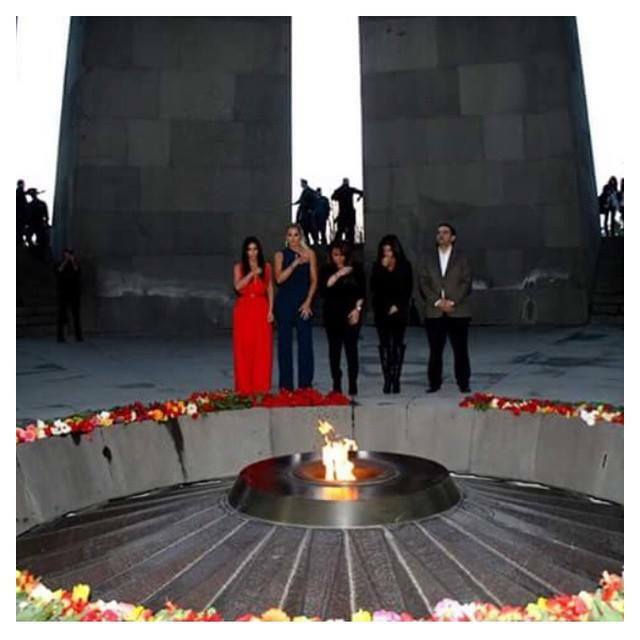 EurasiaNet.orgLocated atop a steep hill, the Armenian Genocide Memorial is one of the landmarks of Armenia’s capital, Yerevan. 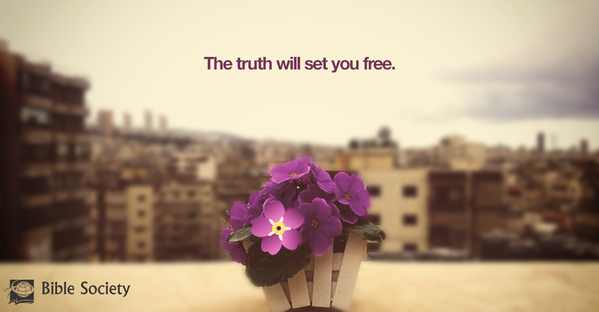 But it does not stand alone. 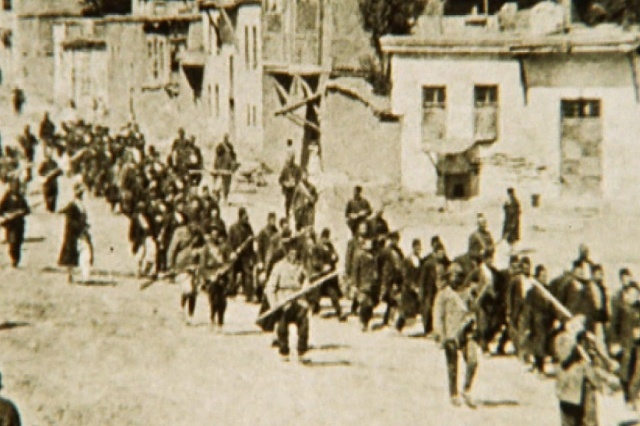 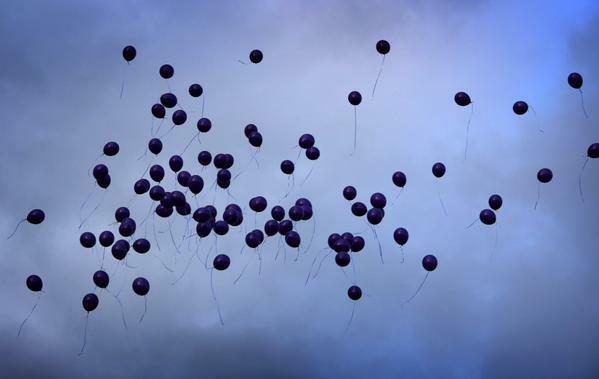 SWI Swissinfo.chIt’s 100 years since the start of what many people call the Armenian Genocide, but the Swiss government has not officially recognised it as such.